First Look: Hyundai QXi sub-compact SUV official teaser out! Hyundai QXi sub-4-meter SUV is all set to launch in India this year. To compete with Maruti Suzuki Vitara Brezza, Tata Nexon and Mahindra XUV300. 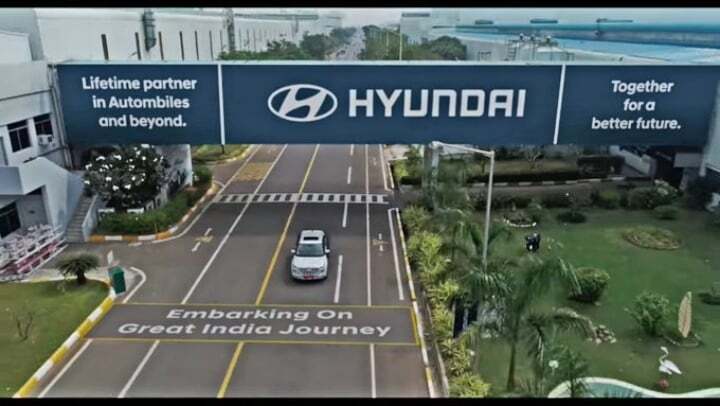 Hyundai is currently working on an all-new sub-4-meter SUV for the Indian market. This vehicle was first showcased as a concept, named as the Carlino, during the 2016 Auto Expo in Delhi. And three years later, Hyundai has finally released the first official teaser of this vehicle. The vehicle seen in the teasers is heavily camouglaged. Still we can make-out a couple of its details. For instance, it is clearly visible that the production iteration has the same silhoutte as that of the Creta. And that it comes with Hyundai’s all-new design language. Up-front, the Hyundai QXi features sleek LED daytime runnings lights which sit above the main headlamp units. The main headlamps units find their place alongisde the fog-lamps on the bumper. Sitting in the middle is Hyundai’s cascading grille. It seems that the SUV is riding on 16-inch diamong cut alloy wheels which feature a dual-tone colour scheme. Inside, expect this SUV to feature premium attributed borrowed from the Creta. The material quality is expected to be top-notch. And in typical Hyundai fashion, top-spec variants will be loaded up-to-the-brim with features. Also Read: Soon, Hyundai cars can be locked, unlocked and started though smartphones! Recent media reports state that the Hyundai QXi is going to get a choice of three engine options. These will include two petrol and one diesel derivatives. There is going to be a 1.0-litre, 3-cylinder, turbocharged engine. The other is going to be a 1.4-litre, 4-cylinder motor borrowed from the i20. The former is going to get a 6-speed torque converter unit gearbox. While the latter is going to get a 5-speed manual gearbox. The diesel engine is going to be a 1.4-litre unit borrowed from the Creta. This engine is going to get a 5-speed manual transmission. In terms of safety, the Hyundai QXi is going to get dual-airbags, ABS with EBD, rear parking sensors, driver and passenger seat belt warnings along with high-speed alert system as standard across the range. Top-spec variants may also get up to 6-airbags and safety systems such as ESP and the hill-start assist for the automatic trims. Prices for the production version of the Hyundai QXi are expected to start from INR 7.5 lakh with the top-spec variant retailing north of INR 10 lakh (ex-showroom). With this, the primary competition is going to be with the likes of Maruti Vitara Brezza, Ford EcoSport, Tata Nexon and the Mahindra XUV300.